Web Browser is briefly called software, its main function is to receive, display and browse information from the Internet. Since 1990, organizations have launched many web browser software, and today these software packages are an integral part of any operating system and are undoubtedly one of the most popular applications. 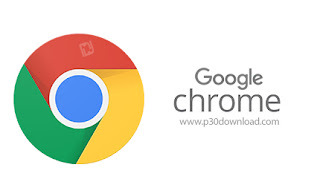 Google Chrome is a free web browser software developed and supported by Google, which uses the Blink layout engine to process and generate page appearance. This software was first released on September 13, 2008 and has been introduced to date with more than 60 versions. 1. First download and release your desired version. - From version 50, Windows XP and Vista are no longer supported and users of the two operating systems should use the 49th version.